A new partnership announced today between Sydney’s Museum of Contemporary Arts and the Tate will thrust Australian art even further onto the world stage, thanks to an injection of $2.75 million in funding from Qantas and a five-year international exchange program that will expose Australian art to new international audiences. Announced this morning at the MCA, the Joint Acquisition Program for contemporary Australian art entails an exchange of works between the MCA Collection Galleries and the Tate’s storied galleries in the UK. 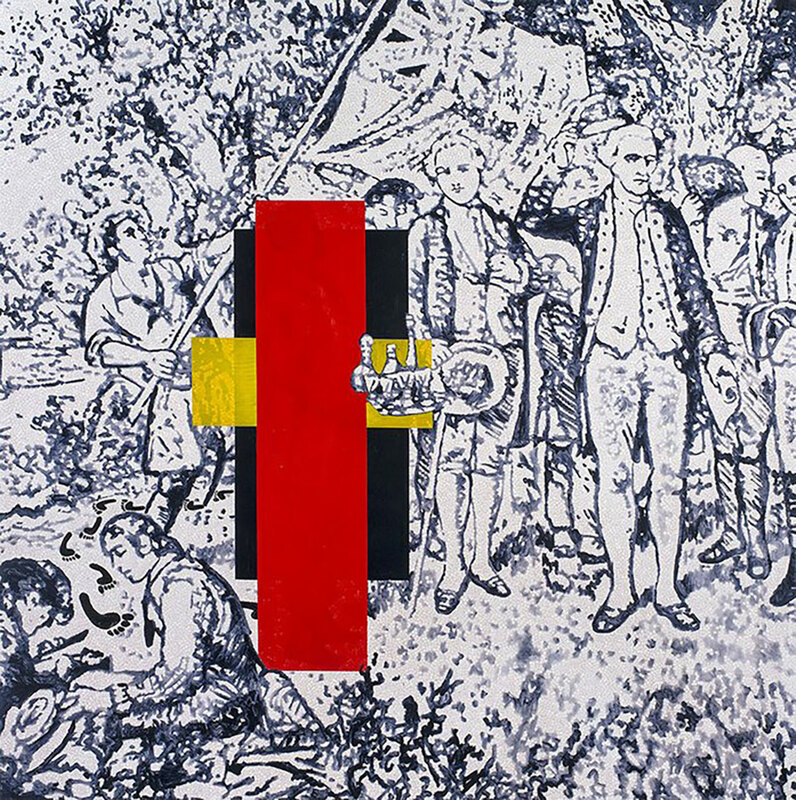 The first of five artworks to be showcased as part of the program include two large video installations, one by multi-disciplinarian Susan Norrie (Transit) and another by Brisbane-based Aboriginal artist Vernon Ah Kee (tall man, pictured top), two paintings by Gordon Bennett (Possession Island [Abstraction], pictured above) and a preponderance of aboriginal blood, an art book of sixteen etchings by Judy Watson. Describing the program’s impact on Australia’s contemporary arts landscape, MCA director Elizabeth Ann Macgregor said, “We are thrilled to unveil this diverse range of joint acquisitions with Tate. You can watch curators from both the MCA and Tate collections elaborate on the significance of this landmark partnership below. Watch this space.